A small personal blog mostly about the development of the blog itself. A section element is used to wrap the content which is unnecessary – div would have been a better choice. 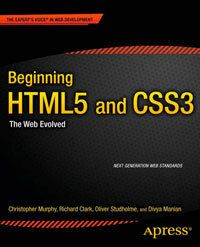 Other HTML5 elements are used properly to give semantics to the articles. nav could possibly have been used for the pagination.